Referrals are key to growing any business and especially important for home inventory service providers. A local dentist has built his successful practice one simple way… the follow-up phone call. He spends one hour of his busy day personally calling patients who were treated the day before to ask how they are feeling. This consistent calling campaign has brought him more referrals than any other marketing method. Looking for referral business? Make sure that the Insurance Agents, Financial Planners, Attorneys, and other business professionals in your local area know that your business exists. They can be a major source of referral business, as they are important influencers on how their clients spend money and conduct business. These types of professional referrals can provide you with a consistent flow of qualified business. Are you ready for an upgraded website? Maybe a completely new one? Mary Gillen will create YOUR site to represent YOUR business. She is also an excellent writer so she can create professionally-written content as well. Content and web design by someone who knows our industry! We feel strongly about the benefit of recognition through promoting NHIM. As an association, NICA’s purpose is to provide recognition of our industry and education for its members. Another benefit is that NICA and NHIM provide education for the general public and potential referral sources. We believe that this month-long recognition and education, created through the efforts of our members, is worthy of assigning Continuing Education Units (CEUs) to those who participate. Our office received correspondence after last year’s inaugural event from members who promoted NHIM. Many stated that they learned quite a bit through educating others. 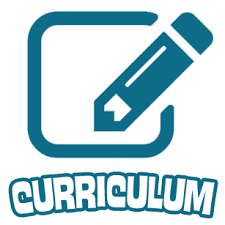 When you submit your CEU form for recertification, all you will need to do is include the number of CEUs you earned and a link or photos attached to support your 1 or 3 CEUs. It’s time to begin preparing for the 2nd National Home Inventory Month (NHIM), which is recognized in April. The first event was launched in 2018 and will continue annually. In preparation, we are updating the NHIM page on the NICA website and it will be ready by mid-March. We encourage all home inventory professionals to participate with the intent to educate the public and bring awareness about the need for this documentation. Additionally, it will bring recognition to the industry as well as each individual professional who promotes NHIM. Members will have access to download the NHIM logo in jpg and png formats. as well as 2 photos in jpg format to use along with their promotions. Upon logging into your account, you will be able to download these graphics, the press release template, and a variety of posts to copy and paste into your social media accounts during late March and the month of April. NICA member Kevin Cope with Home Inventory Me, LLC is excited to announce his Crowdfunding campaign for the next generation Home Inventory app – designed specifically to meet the needs of the 3rd Party Asset Documentation Industry. Kevin stated, “This is not a Kickstarter or Indiegogo initiative, but rather, a ground-floor opportunity to become an actual shareholder in this revolutionary and exciting new venture. Anyone is eligible to participate and the minimum investment starts at only $500.00. Although a number of different cloud-based inventory app options exist in the marketplace today, there still remains the lack of an end-to-end automated solution for the typical Asset Documentation Provider due to the fact that the industry as a whole is still extremely disconnected. For more information, visit the Offering Page. A big THANK YOU to all members who took the time to complete our brief survey in January regarding your preferences of new curriculum to develop. Since NICA is a member-driven association, knowing what interests you have, and what information you are seeking, helps us develop the curriculum that you – our members – want. Each year, after we receive your responses, we tabulate and list the courses in order of most votes. We then seek qualified people to develop the content for these courses. If you have qualifications to write and a desire to contribute for either of these topics, please contact our office. With the certification renewal reminders we sent out during the last quarter of 2018, a few members called asking about membership renewal as well. Membership is renewed annually by the last day of the month you joined NICA, while certification is renewed annually based on a calendar year. Therefore, all certifications are renewed by December 31 of each year following the year you achieved your designation. 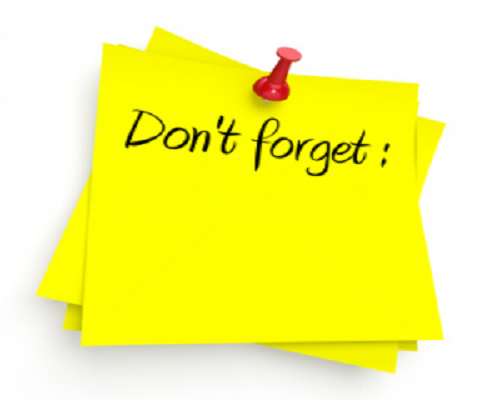 You will receive a letter from the NICA office reminding you when your membership is due for renewal. The email will include a link to the website for your convenience. Once you’ve completed the 5 CEUs each year, submit the form via the Submit Certification Renewal button located on the Certification page of the NICA website. You do not need to wait until December. 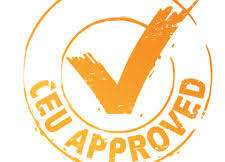 Remember to utilize the downloadable CEU Tracking Form. It was created for your benefit to list the activities (National Home Inventory Month, FEMA, approved webinars) and the courses (NICA and approved synergistic industry courses) as you complete them. This will help you remember what and when you earn CEUs each year. It can also serve as a running document over the years to remind you what NICA courses you have and have not taken. Of course, you can also sign in to your account to see the courses you’ve completed. All courses taken will be listed in orange and are available to review at any time. The downloadable CEU Tracking Form is on the bottom of the Certification Page of the NICA website. 2018 was a very busy year, welcoming new members and congratulating more members who achieved their CIS and CAE certifications. Additionally, two major efforts were achieved this year. The Americans With Disabilities Act (ADA) compliance. This requires that all people with disabilities be able to access all website information. Examples are 1) words must be associated with each photo for those who use a reader, 2) being able to use a keyboard for those who cannot use a mouse, 3) elimination of certain colors that are not allowed due to those with color blindness, etc. Assuring members and visitors that our website is secure. The Hyper Text Transfer Protocol Secure (HTTPS) is the secure version of HTTP. This is the protocol over which data is sent between a browser and the website. The “s” indicates that it is encrypted. Any website that is not secure is or will be identified by search engines placing messages such as “Not secure” in the url bar, notifying the person visiting that site that the transfer of information is not encrypted. Meeting new requirements in data protection laws. The biggest change in 20 years, the General Data Protection Regulation (GDPR) established requirements to assure anyone who enters personal information (signing up for the newsletter, purchasing courses) via the website that their information will be used only for that purpose. This guarantees that we will not share their information. 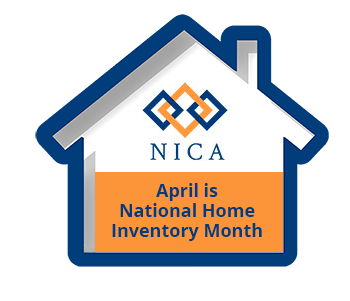 NICA organized and established April as National Home Inventory Month. This effort can be utilized to bring awareness to our industry as well as to each of our members’ individual home inventory businesses. The committee will reconvene in February to review what was accomplished last year and add any new ideas or efforts for this year’s National Home Inventory Month. If you would like to be on the committee this year, please send an email to the NICA officeand we’ll be in touch. Complete information about this effort is here. Why Choose to Be Certified? The following article was included in a NICA member’s newsletter. When searching for a qualified service professional, do you often ask if they are certified? Many professions require an industry license or various levels of certification. These achievements are not required for a home and business contents inventory professional. So why go through the time and expense of achieving this milestone? There are many reasons to become certified. The main one being the opportunity to gain industry-specific education. Certification also indicates excellence, expertise, and a true commitment to serving our clients. 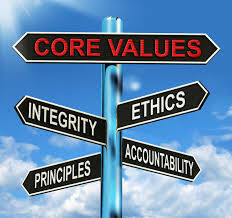 We chose to be certified by the National Inventory Certification Association because of their core values of confidentiality, ethics, integrity, and respect for each client’s personal property. Being a member of this association falls in line with our inventory service and company philosophy. In addition to achieving certification, there is also a requirement to earn a set number of Continuing Education Units per year to retain the designation. This is an opportunity to commit to refresh or gain new skills and knowledge. Being certified is our commitment to remain professional and valuable to our current and new clients. A few months ago, one of my clients called me…in a panic. Yep. It’s happening…more and more. The attack of the serial plaintiff. REALITY: There are serial plaintiffs out there. Businesses are being sued in alarming numbers! People who have disabilities are alleging that the websites they are visiting and/or mobile applications they are using are not accessible to them. In 2017, more than 800 federal lawsuits were filled in response to web inaccessibility. And, there were more federal lawsuits filed in the first six months of 2018 (over 1000) than in all of 2017. Your business could be at risk. If you have a public-facing website (meaning if anyone on the planet can access your site), your online content needs to be accessible to folks who are blind, have low vision, are deaf or have hearing loss, have learning disabilities, experience cognitive limitations, have limited movement and speech disabilities, or photosensitivity. And do you know what is causing one of the biggest problems with website content accessibility? PDF files! REALITY: PDF content needs to be accessible, too. Non-compliant PDFs is one of the most common accessibility complaints that plaintiffs have when filing suit. Example One: One restaurant client had his menus in PDF format, and received a demand letter that complained that the plaintiff could not access the menu choices via an accessibility reader. Example Two: Another client offered discount coupons in PDF format that were not accessible. Winn Dixie and Dunkin Donuts were also sued for not providing accessible discount coupons. Example Three: A software company received a demand letter because they did not provide product information as accessible PDFs. Have your website content tested now for accessibility. Having a fully-documented test can help you prove that you are working towards ADA compliance should you receive a demand letter. DOES YOUR WEBSITE NEED AN ACCESSIBILITY TEST? Find out by visiting this website to learn about Mary Gillen’s accessible website services. Then either call 508-768-8418 or email her to discuss how you, too, can have an accessible website.